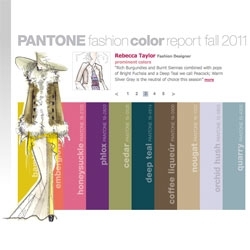 Pantone's fashion color report for fall 2011 includes honeysuckle, phlox, nougat and quarry. 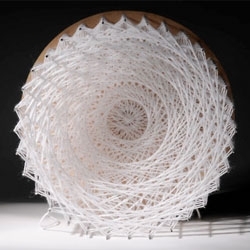 Mesmerizing work from textile designer Kaylee Hibbert. 'STAND!' 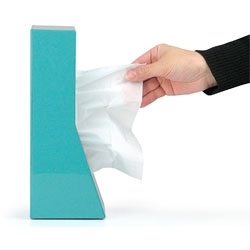 tissue case, an elegant space saving standing box for your Kleenex. 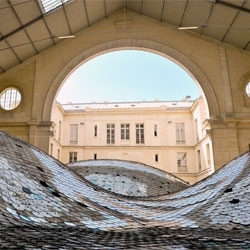 Elise Morin's Waste Landscape, an installation in collaboration with Clemence Eliard at the d'Aubervilliers in Centquarte, Paris. 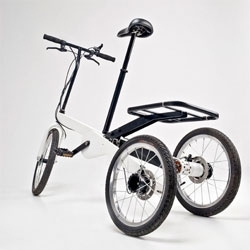 An electric tricycle, the Vienna Bike by Valentin Vodev. 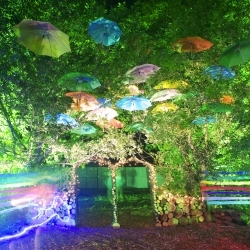 Handbuilt archway with beautiful rainbow canopy that leads lucky festival goers into the VIP woodland, designed and built by The Halo Group. 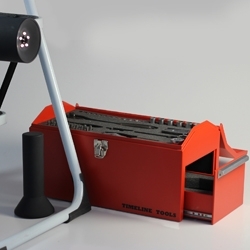 Jack Chalkley's Timeline Tools considers the possibility of tracking the actions of tools, giving each tool in a toolbox the ability to log it's removal and return, and compiling them into a tweetable timeline. 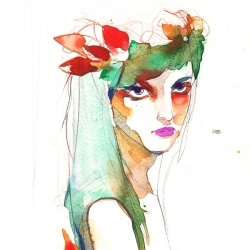 Watercolor illustration by polish illustrator Ola Szpunar. 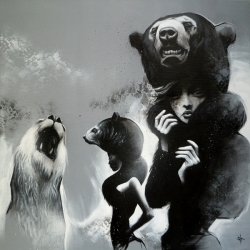 SIT is an established and successful Amsterdam artist - beautiful grayscale women and creatures. 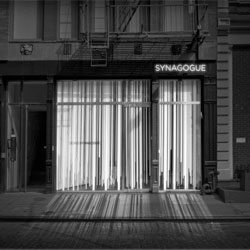 New Soho Synagogue designed by Dror Benshetrit. 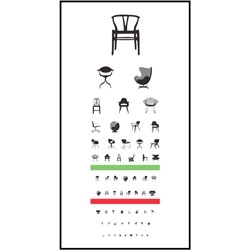 Test your eyes and your knowledge of 20th century chair design with this cute poster from Joel Pirela of Blue Any Studio. 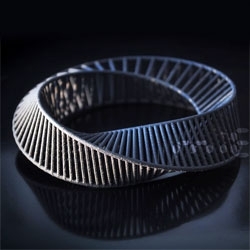 A new never-ending Mobius bracelet from the 3d collection by Miette. 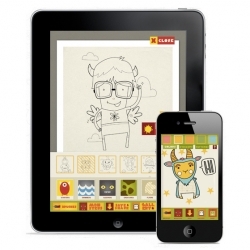 Charming Monster Coloring Book iPhone and iPad app designed by Twistcone and The Guys in the Booth. 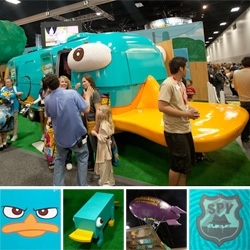 Icon Magazine interviews Floris Hovers, the Dutch designer behind the boats, cars and other playful toys. 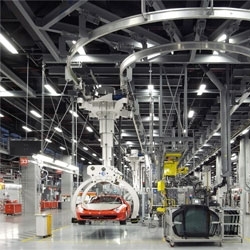 A look at the 'New Assembly Line' at the Ferrari Factory in Maranello, Italy. 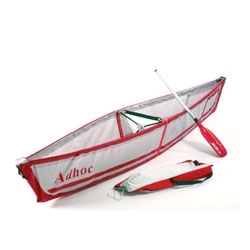 The 'adhoc folding canoe' a collapsible design that folds into a backpack sized pouch. 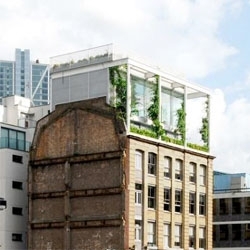 By Ori Levin of Studio Tsor Design. 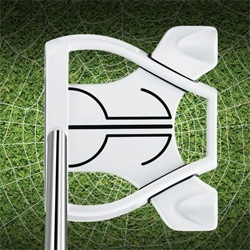 TaylorMade's Ghost Spider Putter ~ apparently the white makes it easier to aim? 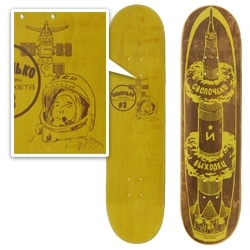 It also has a pure roll surlyn insert and movable weight technology. 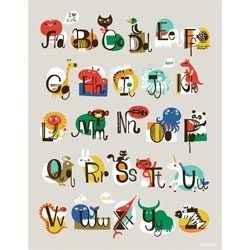 Cute animal ABC print poster by Helen Dardik. 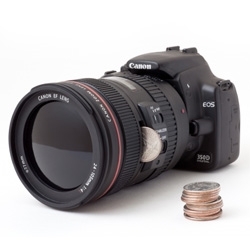 dSLR Camera Bank... yes, like a coin bank. Somewhere between the ultimate tease of a gift and a nice way to save up while you try to buy your dream camera? You're going to need a lot of coins to buy one though! 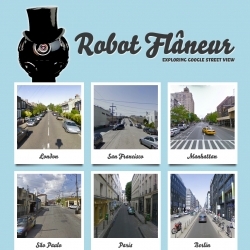 Robot Flaneur ~ another James Bridle project, allowing you to travel/navigate the world by strolling through Google Street View. 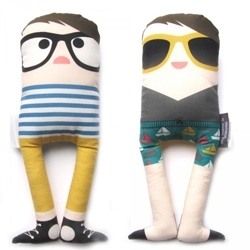 FEATUREDMy Name Is Simone, aka french designer, Caroline Castagna-Suarez, makes adorable hipster plushes. Particularly the new reversible, beach ready Patrice and Beatrice for Smallables! House '500m² wohnzimmer', Wien, Austria - Caramel Architekten. 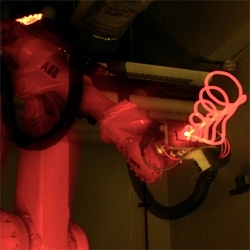 FEATUREDRobo Mimicry ~ Shawn Sims and Karl Willis at CMU turn a kinect into an eye for this large robotic arm allowing it to mimic his hand's motions in z-space creating beautiful light-writing. 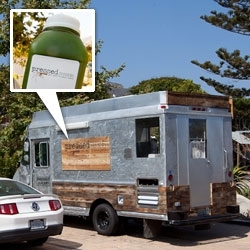 Imagine the possibilities? 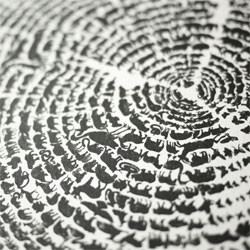 Tree of Life poster by Gary, Aaron and Khairul shows the rings of a tree composed by tiny animals. From degree. 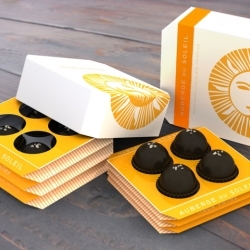 Squeeze box inspired folded paper Chocolate Truffle interactive box, by Design Packaging's Evelio Mattos. 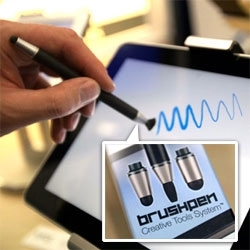 FEATUREDSneak peek at PenGo's app and new BrushPen that allow you to sketch and draw on your iPad and Tablets with pressure sensitivity and various brush and pen tips! 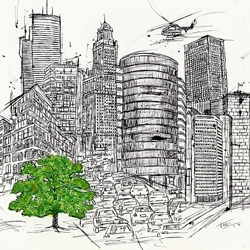 Frederic Terral's latest print, "Roots" created with ink (using a quill) and watercolor on cold pressed 100% cotton, 24" x 18", 140 Lb paper. 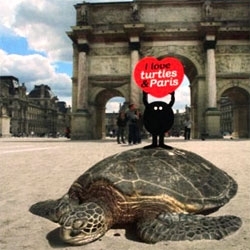 FEATUREDGeneviéve Gauckler and Colette, have teamed up to change up the usual touristy Parisian monument postcards with a playful twist! 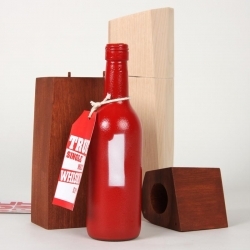 Canadian Whiskey bottle designed by Étienne Beaudoin-Vle at UQAM. 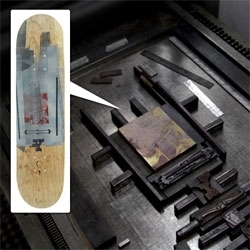 FEATUREDA peek inside the Scumco & Sons studio in pittsburgh ~ see where their letterpressed skateboard deck art comes from! 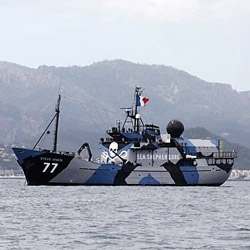 Sea Shepherd flagship, Steve Irwin, as it sports a new WWI era dazzle camouflage paint job. Also, it's currently in jeopardy as it's being detained at a Scottish port. This 1965 Mercer-Cobra Roadster has been given a modern interpretation of a Mercer Raceabout, built by Carrozzeria Sibona-Basano on a Cobra chassis. 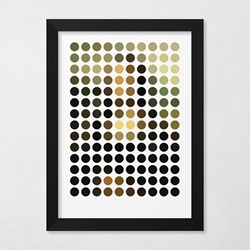 Leonardo da Vinci's 'The Mona Lisa' reduced & remixed down into 140 exact circles of color. 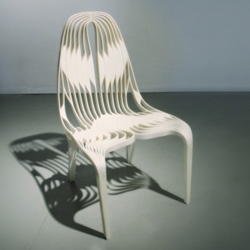 Young designer and architect Antonio Pio Saracino talks with Lancia TrendVisions about the 'Leaf Chair' and his latest exhibition Unitas Multiplex. 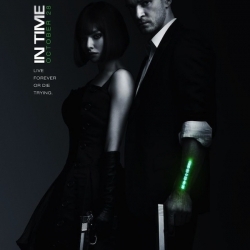 VIDEOTrailer for "In Time": "In the late 21st century, time has replaced money as the unit of currency. At 25 years old, aging stops and each person is given one more year to live. Unless you replenish your clock, you die." 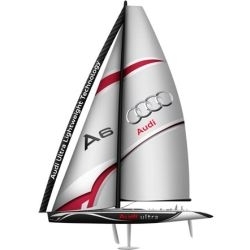 Audi Sails 14-Storey-Tall Supermaxi Yacht to Singapore. 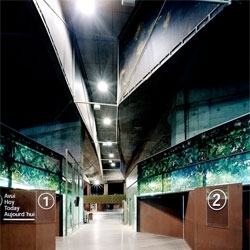 Toyota Eco-Mobility Exhibition Building. 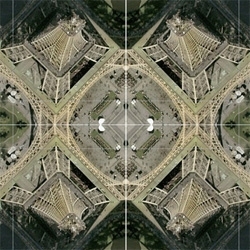 Located under photovoltaic panel, surrounded by concrete pillars of complex geometry, the exhibition asks: How can we move today, tomorrow and in the future without harming the environment? 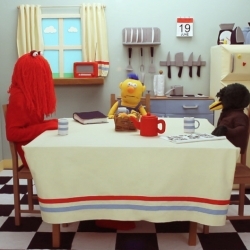 VIDEO'Don't Hug Me I'm Scared'. A new film by This Is It. Pixels everywhere, on your phone, computer or camera. 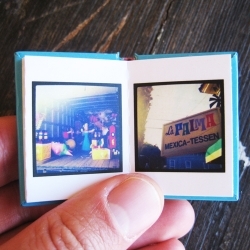 A pixel itself has little value, only the interaction with its neighbors gets real meaning. 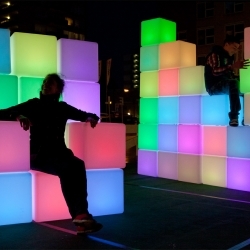 Jonas Vorwerk and Yoren Schriever explore this in the interactive installation 'Pixels'. Kansas City Zoo mark designed by Jerry Haworth in 1969 plus more in a round up of bold mid-century modern animal logos and trademarks. 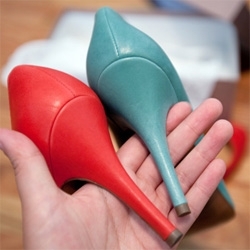 FEATUREDYou had me at Brick Red + Pale Peacock ~ J.Crew's new Mona pumps have a simple round toe and are adorable in the cutest irresistible pops of color. 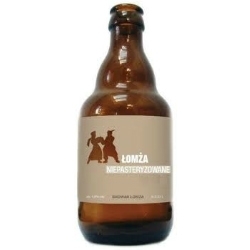 lomza niepasteryzowane - Polish beer that comes with minimalistic eco style package.